Perfect for Father's Day! This is a beautiful clay photo pendant that is up to .65" in size, two-sided and completely unique. Framed tiles are one of my favorite items to make by far. 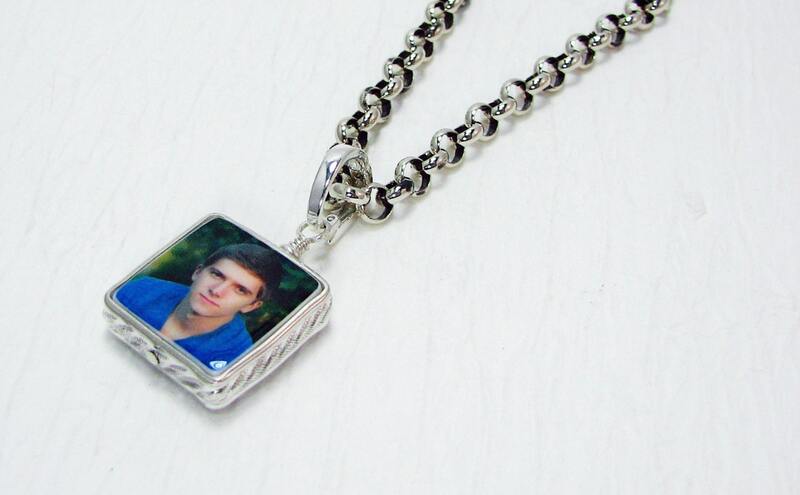 This pendant is so classy, and absolutely perfect for Dad. 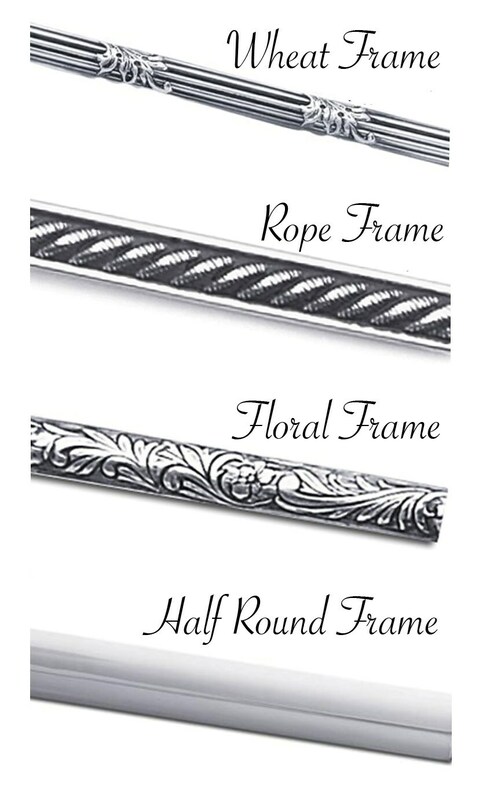 It's framed in a sterling silver Rope Frame (highly polished as shown, or oxidized), but you can choose your favorite from the options above. 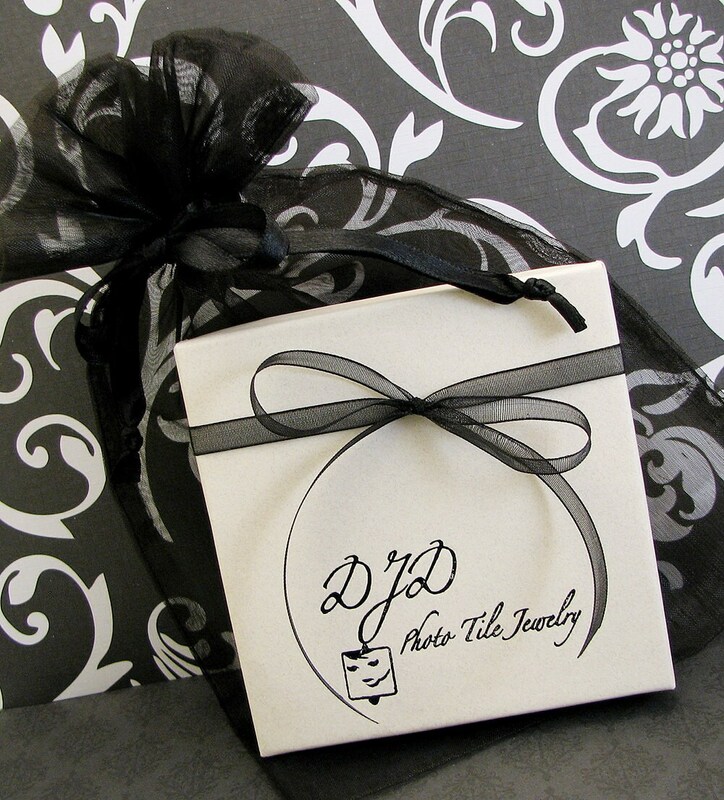 and it comes on a sterling silver, interchangeable bail that will clip onto anything that has room for it. 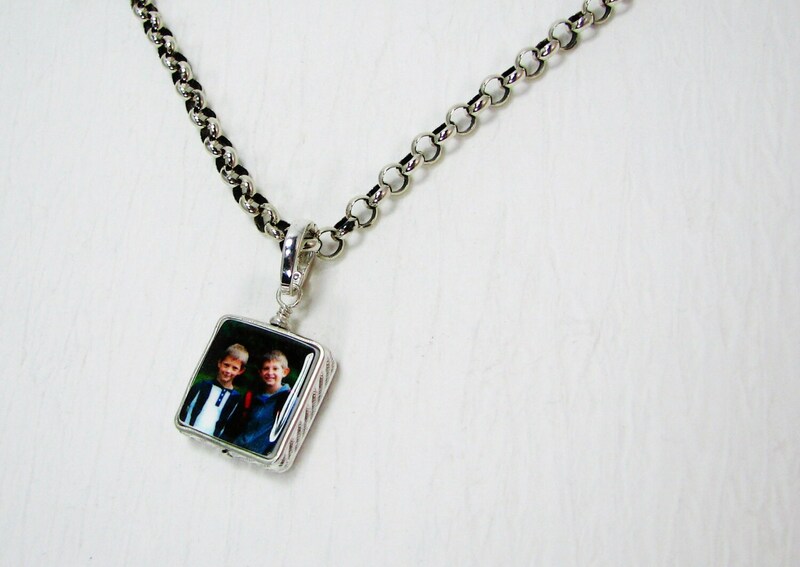 This one is on a large link (5 mm) sterling Rolo chain, but it would also look beautiful on a matching Rope chain? You can choose your desired length between 18" and 25" in length.